Sour Cream Noodle Bake is so easy to make, and chances are you have everything you need already in your pantry to prepare this hearty dish. This casserole has a creamy filling, and it is packed with meat so your family will love this dish. 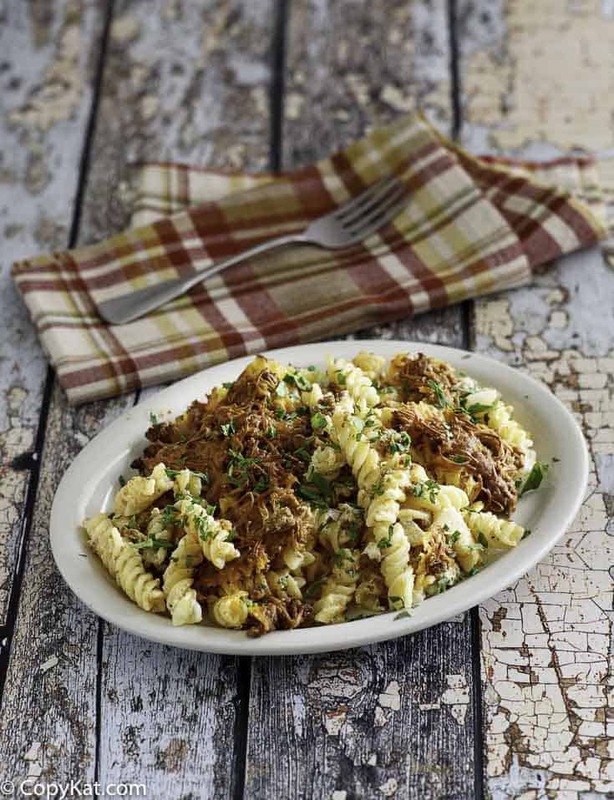 Noodle Bake, hot dish, casserole, it does not matter what you grew up calling them we all know those familiar, cheesy, creamy, starchy, meaty dinners from weeknight suppers, Church socials, and Scout buffet tables. They were part of my mother’s regular meal rotation when I was growing up. These humble dinners have survived the test of time because they are made with the most basic of ingredients, most, if not all, of which you already have in your cupboard, and because those ingredients can easily be switched out for something else. 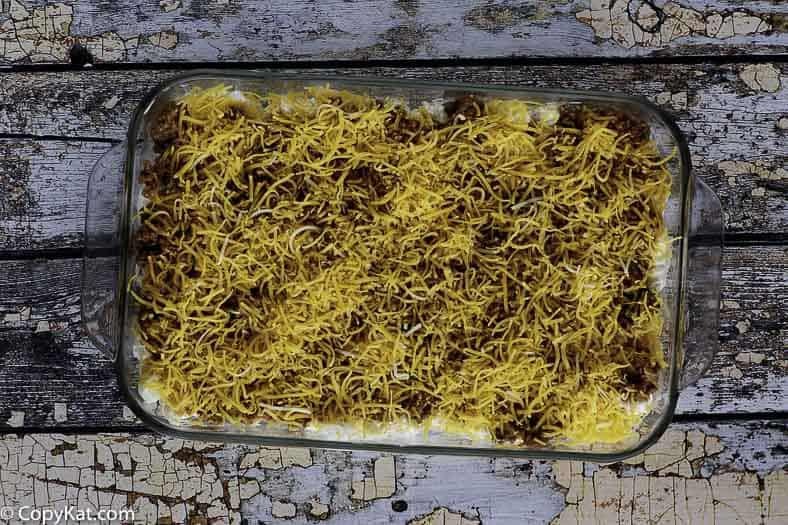 This old-fashioned, Sour Cream Noodle Bake is so easy to make, a beginner cook can prepare it. 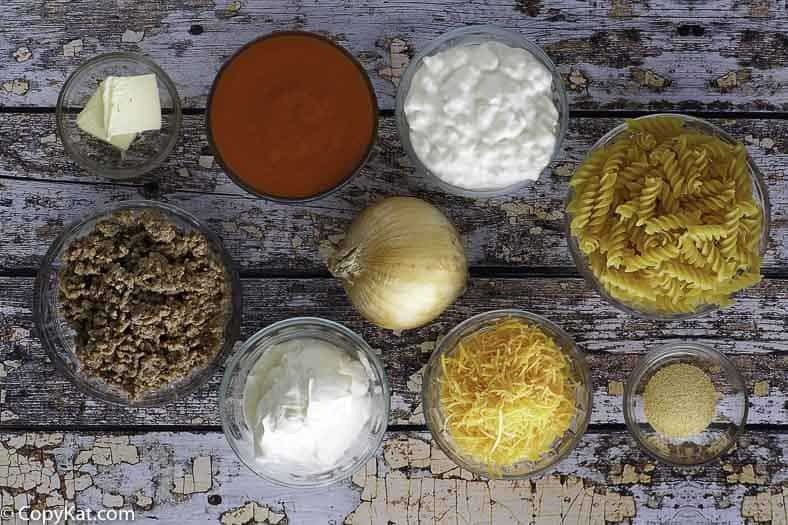 My recipe calls for 8 ounces of dry pasta and you can use any type of pasta you like: bowties, wagon wheels, ziti, those flat, ribbon-like egg noodles, even small, macaroni elbows will go well with the sauce. This casserole also reheats very well, so it will taste great when you take it to work the next day. Are you ever looking for that perfect dish to make when you come home from work? You want something filling and easy. This is the dish for you. This old-fashioned casserole is so easy to put together. A beginner cook can prepare this recipe. This calls for 8 ounces of dry pasta and you can use any type of pasta for this dish. This casserole also reheats very well, so it will taste great when you take it to work the next day. The sour cream noodle cake has simple ingredients. You will need ground beef, noodles, sour cream, cottage cheese, onion, tomato sauce, and a couple of other ingredients. The result of this casserole is a delightful casserole with a cheesy and creamy filling that can fill up the bellies of those you love. If you wanted you could add some celery, carrots, or even some mushrooms to this casserole. Sour Cream Noodle Bake is a great casserole that is so flavorful to make. Brown meat in butter. Add salt, pepper, garlic salt, and tomato sauce; simmer for 5 minutes. Combine cottage cheese, sour cream, onions and noodles. Alternate layers of noodle mixture and meat mixture in a 2-quart casserole, beginning with the noodles and ending with meat. Top with cheese. Bake at 350 degrees for 20 to 25 minutes. Yields 6 - 8 servings. Just the kind of dinner I love to make for an easy dinner for my family! Love it! I loved it! So easy and taste so good! I love the combo of tomato with rich dairy here. So good! This is such a stunning recipe that is perfect for the holidays. Thanks for sharing. This is so easy to make! Loved the cottage cheese! Not liking cottage cheese in casseroles, I prefer to use ricotta & cream cheese in the wonderful recipe. Thank you Stephanie!!! OMG the very best comfort food I have had in ages. My husband being a picky eater loved this one too. I’ll make this one again, regularly. This is very similar to Company Beef Cassarole. We use ricotta instead of cottage cheese, the noodles get buttered, and green onion is added to the ricotta, sour cream mixture before adding on top of noodles. Instead of cheddar, mozzarella and parmesan cheeses are used to top in off. Luscious dinner! Your casserole sounds amazing. I want to try your version! Yummy and easy. Everyone liked it. I added little extra ground beef and would recommend only using very lean ground beef because of browning in butter. Made this when we were moving our daughter and son in law into their new house. I put this together the night before and popped it in the oven when we decided to eat that day. They all loved it, this is a keeper Recipe! This casserole is really tasty 😉 I agree it is a keeper. When the weather warms up I am going to make another one. Ricotta instead of Cottage Cheese please! Sounds delish! I am sure that would be tasty too. I bet it is delicious with ricotta cheese.